a. 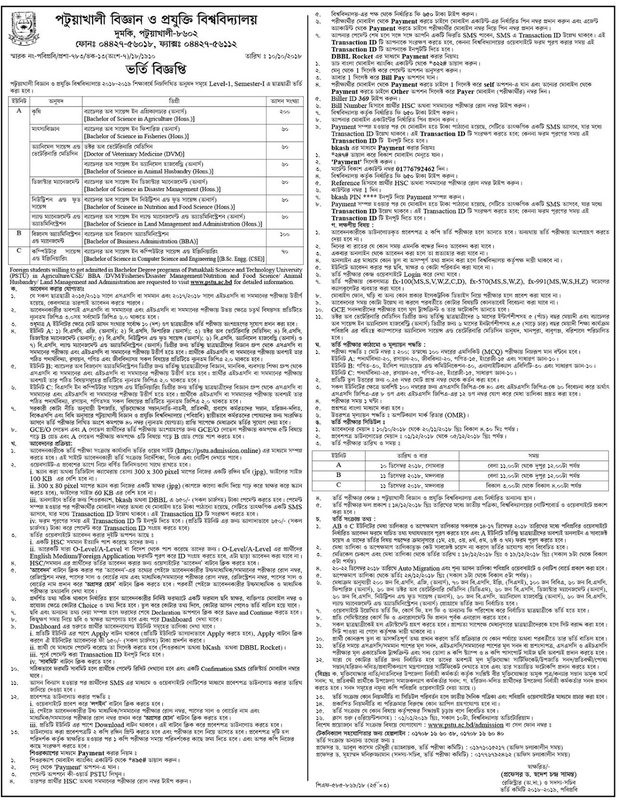 Applicant must Bangladeshi citizen. b. SSC/Equivalent passing year 2015 or 2016 in science group. 1. For each wrong number 0.25 will be cut. 2. Total Number 200 Marks. 3. MCQ Test Examination 100 Marks. Patuakhali Science and Technology University (PSTU) Admission Examination Center and Test Seat Plan will publish on https://pstu.admission.online/. 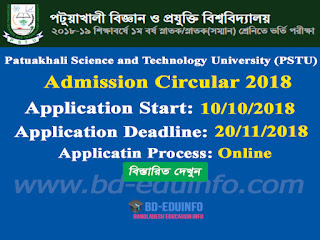 Patuakhali Science and Technology University (PSTU) admission result publish on 14/12/2018 at https://pstu.admission.online/. 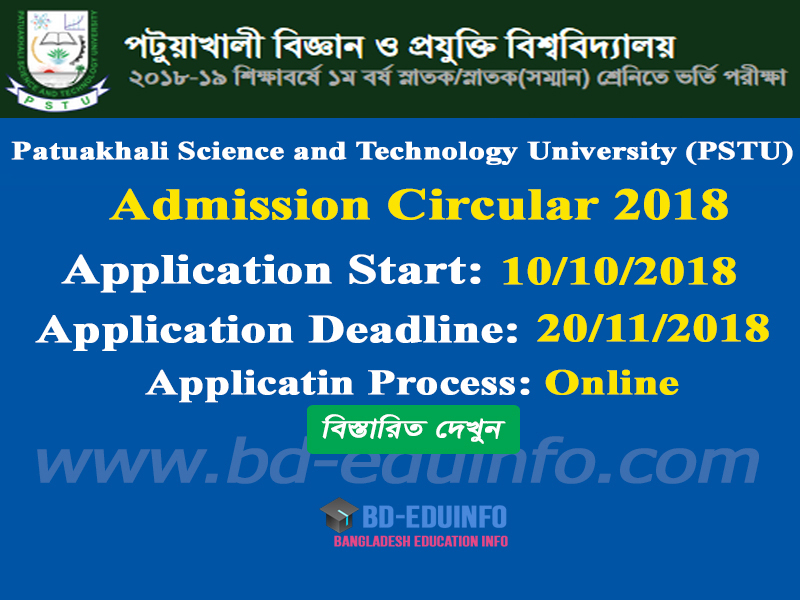 Tags: pstu admission online, pstu.admission.online, www.pstu.ac.bd, www pstu ac bd, Patuakhali Science and Technology University (PSTU) Admission circular 2018-2019, Patuakhali Science and Technology University (PSTU) admission circular 2018-2019. pstu admission circular 2018, pstu admission notice 2018-2019, Patuakhali Science and Technology University (PSTU) admission Admit Card 2018-2019, Patuakhali Science and Technology University (PSTU) admission Result 2018-2019.
pstu admission online, pstu.admission.online, www.pstu.ac.bd, www pstu ac bd, Patuakhali Science and Technology University (PSTU) Admission circular 2018-2019, Patuakhali Science and Technology University (PSTU) admission circular 2018-2019. pstu admission circular 2018, pstu admission notice 2018-2019, Patuakhali Science and Technology University (PSTU) admission Admit Card 2018-2019, Patuakhali Science and Technology University (PSTU) admission Result 2018-2019.